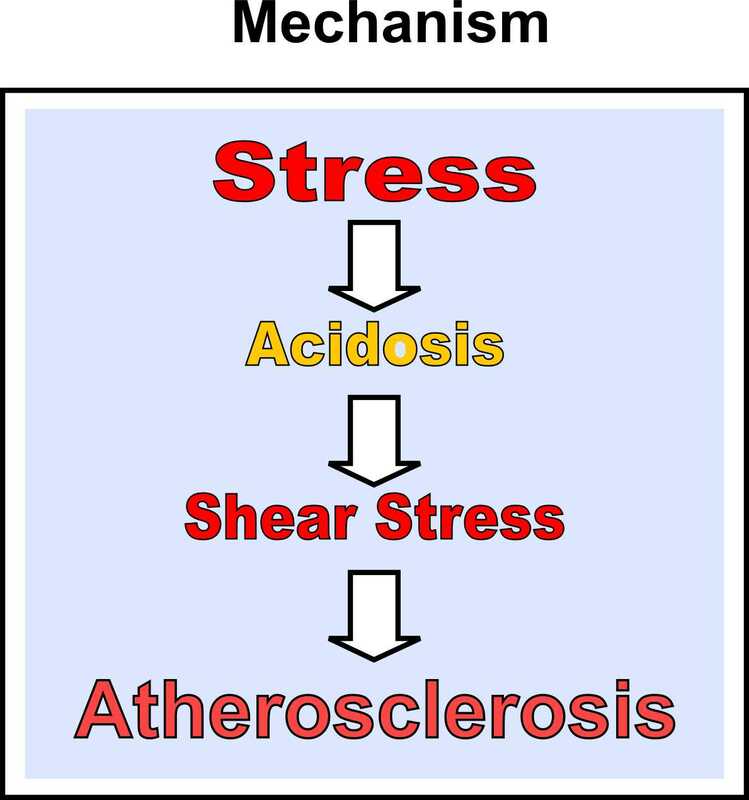 New Evidences: Acidity Theory of Atherosclerosis: The final evidence: Milk and dairy products prevent heart attacks! The final evidence: Milk and dairy products prevent heart attacks! Dr. J. E. Crewe, in 1929, along with the Mayo Foundation, reported uniformly excellent results using whole milk in the treatment of tuberculosis, diseases of the nervous system, cardiovascular and renal conditions, hypertension, and in patients who are underweight, run-down, etc. Striking results were seen in diseases of the heart and kidneys and high blood pressure. The milk used was, in all cases, the only kind of milk available in those days—raw milk from pasture-fed cows, rich in butterfat. Dr. Crewe asserted that the only problem of using raw milk to treat these diseases, was that it was too simple. So, the therapeutic use of milk didn’t attracted the interest from his colleagues in their patients (1). In 1991, the New Scientist magazine reported that Dr. Peter Elwood, director of the Epidemiology Unit of Landough Hospital in Penarth, South Glamorgan, in his study of lifestyle involving 5,000 men between the ages of 45 and 59, with a duration of 10 years, found that men who drank the most full-fat milk and ate butter (rather than margarine) had a lower risk of suffering from heart attacks! (New Scientist 1991; 129(1759):17). According to Dr. David Williams article published the same year, discussing the findings of Peter Elwood, among those who drank at least a pint of milk per day, only 1% suffered heart attacks (2, 3). Dr. Peter Elwood, in a paper published in 2004, reported the data about the Caerphilly Study dietary data, including consumption of milk, were they have collected by a semiquantative food frequency questionnaire, during a period of 1979-1983. The group was followed by 20-24 years in a population sample of 2,512 men aged 45-49, with incident ischemic heart disease and stroke events identified. The study reached the conclusion that their data provide no convincing evidence that milk consumption is associated with an increased risk of vascular disease (4). At the same time and in the same issue of the European Journal of Clinical Nutrition he had published another study saying that no group studies have provided convincing evidence to date on the milk to be harmful (5). In 2007, Peter Elwood and his group published another study concluding that the consumption of milk and other dairy products is associated with a markedly reduced prevalence of metabolic syndrome, and these items, therefore, would fit well within a healthy eating pattern (6). More recently, in 2009, a survey conducted by the Universities of Reading, Cardiff and Bristol found by reviewing the evidence from 324 published studies that milk intake may reduce the chances of dying from diseases such as coronary heart disease and stroke, in 15-20% (7). Contrary to what is usually advocated by conventional medicine, that saturated fats can lead to myocardial infarction, a very recent study found that nutrients in milk and its derivatives (cheese, butter) actually neutralize the effects of cholesterol that the researchers (still) consider harmful. Their findings, taken from 3630 middle-aged men and women from Costa Rica, have shown that the intake of dairy products in those that had myocardial infarction was not different from those who had not. Assessing about the amount of dairy food that was ingested by the participants in the Epidemiologic study between 1994 and 2004, there was no link between consumption and risk of myocardial infarction, even among those who consumed as much as 593 grams per day. This research (8), confirm the results of several other studies showing the benefits of milk and dairy products in cardiovascular disease. Interestingly to note is that endogenous digitalis like compounds (DLCs), similar to the cardiotonics used to treat heart failure, were found in tissues and fluids of animals and humans with increased concentration in amniotic fluid, umbilical cord, serum and urine of pregnant women and neonates, the saliva of pregnant women, and in the milk collected from women during breastfeeding at different days after birth. According to an article published in 1992 DLCs could be secreted or concentrated in human milk providing to children with a exogenous contribution of DLCs to replace the endogenous production which tends to decrease after the first few weeks of life out of the womb. The authors have place in the article that additional studies were needed before the physiological actions in children be assigned to DLCs in human milk (9). Certainly there are other mechanisms that could explain the benefits of the whole milk in the prevention of diseases. However, we believe that the increased concentration of DLCs in milk fits perfectly with our postulation that an insufficient production of endogenous DLCs, to attend the demand in some medical conditions such as coronary artery disease, can be resolved through the use of cardiac glycosides in low doses as a supplement. This is confirmed by clinical studies using cardiac glycosides in prevention of acute coronary syndromes (10). d) reduce level of LDL-cholesterol in blood plasma (linolenic acids Omega-3, linoleic acid W-6, also oleic acid). e) Unique components of milk fat i.e. short chain saturated fatty, conjugated linoleic acid, vaccenic acid (natural trans isomer), and other milk components possess additionally anticancerogenic activity. Moreover, the fatty acid series n-3 (or omega-3), through its ability to reduce blood lactic acid production (12), and butyric acid (GABA), which has an inhibitory effect on the sympathetic nervous system (13) may possibly reduce the progression of coronary atherosclerosis, according to the concepts of the theory of acidity in atherosclerosis (10). 4) Milk drinking, ischaemic heart disease and ischaemic stroke I. Evidence from the Caerphilly cohort. Elwood PC, Pickering JE, Hughes J, Fehily AM, Ness AR, Eur J Clin Nutr. 2004 May;58(5):711-7. 5) Milk drinking, ischaemic heart disease and ischaemic stroke II. Evidence from cohort studies. Elwood PC, Pickering JE, Hughes J, Fehily AM, Ness AR. Eur J Clin Nutr. 2004 May;58(5):718-24. 12) Ogilve GK, Fettman MJ et al. Effect of fish oil, arginine, and doxorubicin chemotherapy on remission and survival time for dogs with lymphoma: A double-blind, randomized placebo-controlled study, Cancer; 2000, 88: 1016-28.